Diving in Palau is what many scuba divers dream about, but few have done. The diving in Palau is noted for high bio-diversity, great drift dives, excellent visibility, historic WWII wrecks and outstanding marine life to be found on almost every dive site. Therefore, it is no surprise that many of the dive sites in Palau are listed on top of top-ten lists of best dive sites published by renowned magazines worldwide. Palau is also known for its relaxed atmosphere and friendly people that welcome you as friends and not walking money machines. 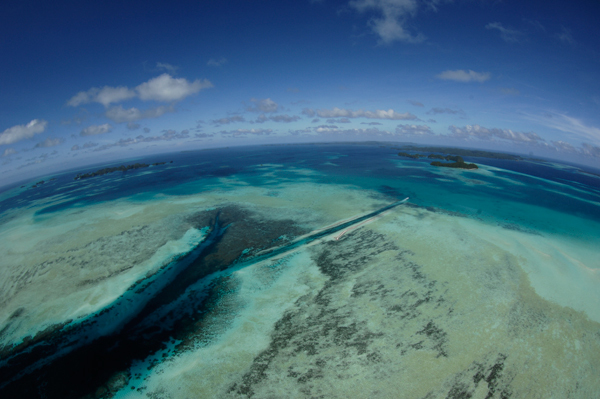 Palau is looking to develop its tourism in a manner that doesn't negatively impact its pristine environment. The Palau government recently created a marine sanctuary that includes their entire Exclusive Economic Zone (EEZ), and Palau was one of the first countries to create a shark sanctuary the size of France. When tourism arrivals spiked with tourist from China, the government took steps to reduce the number of Chinese visitors. Visitors that come to Palau place their special interest above everything else. The majority of these visitors are scuba divers and when there that is what they want to do. Dive, dive, dive. How to Get to Palau? The Roman Tmetuchl International Airport (ROR) is Palau's Airport, located outside the town of Airai, on the southern coast of Babeldaob island. Most divers who plan a trip to Palau arrive passing through the gateways of either Guam or Manila. Guam is a short haul of about an hour and a half from Palau. There are four flights in and out of Guam for Palau each week on United Airlines. Guam has onward connections to Hawaii for connections to the United States, and connections to other Asian cities. Manila is also a short haul destination to Palau of about two and a half hours. Like Guam, United Airlines serves Palau with four flights in and out each week. Manila is a heavily traveled international destination with multiple nonstop daily flights to the major destinations in Asia, Australia, and the Middle East. Many airlines offer daily direct flights to Manila from the United States and Europe. Palau also has direct air connections to Inchon South Korea, Taiwan, and Narita airport which services Toyko Japan. When is the best time to dive in Palau? Some people say that there is no best time to dive in Palau as Palau is an excellent dive destination year round. But if you would have to pick a time frame, the best time to dive in Palau would be between November and April. This is the time with incredible visibility and the highest number of pelagics like the giant mantas. How to Get Around in Palau? Babeladaob is the capital of Palau and second most populated island in Palau behind Koror Island. Koror is where the majority of the tourism accommodations and dive operators are and where the liveaboards depart from. The islands of Babeladaob and Koror are connected by a bridge so getting to Koror is not difficult. It is best to arrange transportation from the airport to your accommodations with the accommodations as transportation is not always available at the airport. Koror is not very large and does not have a public transport network. Many visitors walk or use bicycles. Your dive center can arrange a pick up to go diving if you are not within a short walk, or pick you up at the resorts dock if it has one. There is a bus in the evenings that connect the resorts and the center of Koror. While there are not a large number of places to stay in Palau, you will find accommodations that will meet everyone's taste and budget. If you are more the 5-star hotel client, then the Palau Pacific Resort is most likely the place for you. This 5-star resort offers the very best in service and cuisine. They have a private beach, swimming pool, and an excellent spa. There are also some first class or deluxe resorts. Some of the resorts in this class are Palau Royal Resort, Rose Garden, and Palasia Hotel. 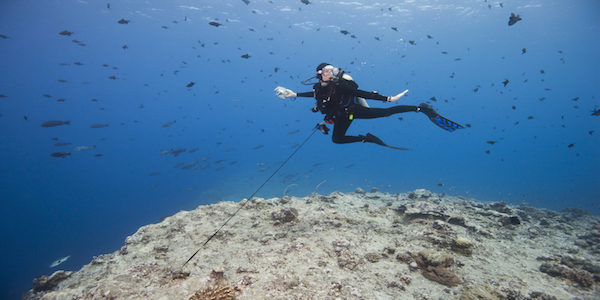 Divers who feel they rather spend their money diving will find a few budget offerings. Palau Paradise Hotel and DW Motel are excellent examples of very comfortable accommodations at an affordable price. Dive sites like Blue Corner and German Channel are known as one of the best Manta Ray diving destination in the world and are just two of the many outstanding dive sites found in Palau. Blue Corner Blue Corner is probably the most highly sought-after dive site in Palau. It consists of a spectacular ridge that extends out into the ocean and then descends into the deep. Chandelier Cave If you want to explore underwater caverns, there's no better place than Chandelier Cave in Palau. This area consists of a system of caves and hardly any coral at all. Helmet Wreck If you're looking for a wreck dive site in Palau, check out Helmet Wreck from World War II. You can access this dive site easily and quickly by boat, and if you're an intermediate diver with a wreck diver certification, you'll have a lot of fun exploring this site. German channel When you dive German channel, you will understand why at almost every point in the day she is bound to be a crowd-pleaser. The currents that rush through the channel bring loads of nutrients for all the marine life to feed on. Attractions for non-divers or those needed off gas days include activities like visiting Jellyfish lake. An isolated lake where the jellyfish have evolved differently. The best part of this all is that these Jellyfish don't sting..read more Kayaking or hiking among the Rock Islands are also great ways to spend a day outdoors. A trip to Peleliu should not be missed either. When you visit the island of Peleliu, you will see a peaceful island with white sandy beaches, turquoises water, and lush vegetation. The island is lightly developed, and approximately 700 people live on the island. No resorts, just a museum that tells the painful story about the role Peleliu Island played for a short time in WWII. It is about a 1.5-hour boat ride from the Malakal harbor, through the beautiful rock islands that have made Palau so famous. Experience the culture side of Palau. Want to dive in Palau?